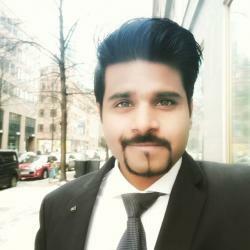 Prateek is a Master of Finance Student at Frankfurt School. With the galore of events surrounding the blockchain centre and many happening around the European market, one can get a sense of how technology is encapsulating the imagination of various sectors including finance. With new departments labelled as ‘Digital Business’, ‘Gamma’ and ‘Blockchain excellence’ being installed in traditional businesses and upcoming start-ups, we are now witnessing the accelerating spread of Industry 4.0 revolution. During various career events at Frankfurt School, initiating intriguing conversation about a consulting company’s digital strategy or the Big-4s new digital insight magazine can be an excellent ice-breaker when talking to professionals. Technology and Innovation are pervasive and companies are now charting their own digital strategies bespoke to their clients’ needs. However, if we observe closely, every sector has its unique approach towards their end user’s digital requirements. Investment Banks have incorporated digital strategy by accepting the growth of the alternative to fiat currency – Cryptocurrency, the ubiquitous applications of blockchain and the disruptive use cases of Fintech. State Street’s recent acquisition of Charles River, Northern trust’s announcement of Crypto custodian and other investment banks launching their flagship mobile banking products and blockchain enabled services indicate the shifting trend in traditional banking. Consulting companies on the other hand have a different approach to digital strategy. BCG’s flagship product named ‘Agile at Scale’ aims to integrate the seamless agile methodology with powerful IT innovation for their clients while McKinsey’s in house ‘Garage’ – a innovation space in the Digital McKinsey – speaks volume of the consulting company’s push into the Big Data, Artificial Technology and Analytics space. While they also focus on Digital Banking in similar fashion to investment banks, the latter pushes for innovation in payments and other transaction services. Innovation enabled companies such as Camelot IT labs have pioneered the integration of blockchain into manufacturing by coalescing the power of Ethereum platform to revolutionize logistics and supply chain management. Not to mention, the technology giant SAP labs has been successful in bringing the power of Analytics, Machine Learning, Blockchain and Internet of things in one product – SAP Leonardo. This in turn has enabled the Big-4’s to leverage the power of Leonardo to digitize their services such as Risk advisory, audit and compliance. So, the next time you fire up your smartphone or laptop, finding an innovative banking app or a disruptive digital service will be just few clicks away!